Now that it is December I am very open with my Christmas music(that I have been listening to for a little over a month already), our Christmas Tree(which has been fully up and decorated since Veterans Day), and my red + green Christmas spirit(which can be seen beautifully in my hat/jacket combo)! I just love the Christmas season! And what a lovely day to celebrate December 1st, Cyber Monday(the younger and wiser version of black Friday)! 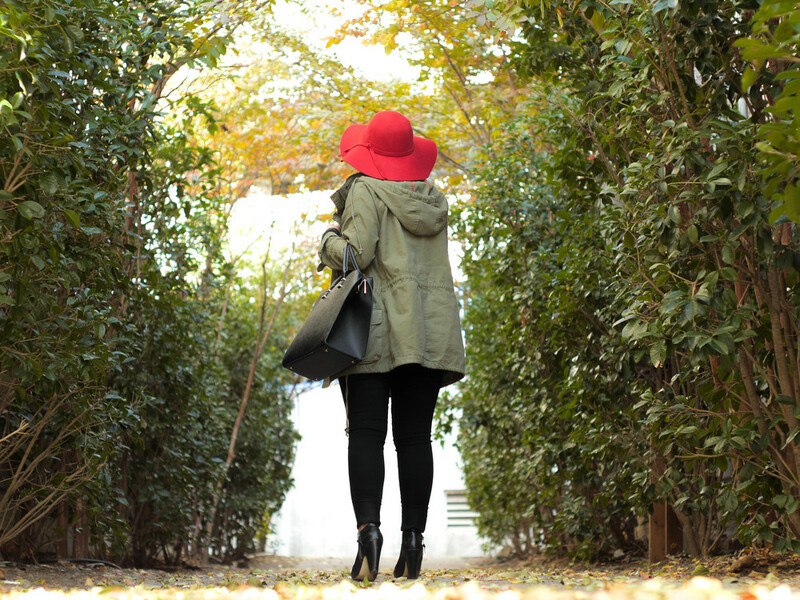 This Red Jenessa Hat from LoloElle Boutique has come to be a new love of mine this Christmas Season. I mean, it doesn't even have to be the holidays to wear this hat, ladies! 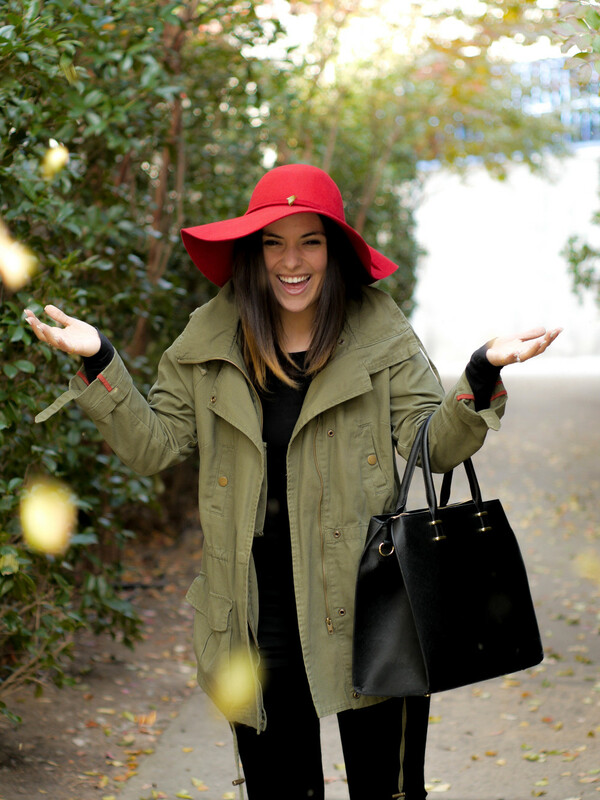 Some talented beauties can pull off this bright color all year around. The holidays just make this color an easier staple for me, with my usual monochromatic color palette of a wardrobe. This hat is incredibly soft and you can't leave your house without getting a few compliments on it. I wear my neutral colored hats every other day and they never get as many compliments as this happy holiday color has received! If you are looking for a fun staple this season or for your wardrobe in general, join the red hat society with me...or just add this fun LoloElle Boutique hat to your closet! Be sure to keep up with them on their Instagram for their latest deals, especially on this lovely Cyber Monday! These images were so much fun to take! My husband grabbed me a honey latte up the street, my brother in law took these images graciously, and we found this cute little canopy! I am sure these were some of the last leaves falling in middle GA, and they wouldn't stop!